ON TOUR: Is There a Future for Business Jets? 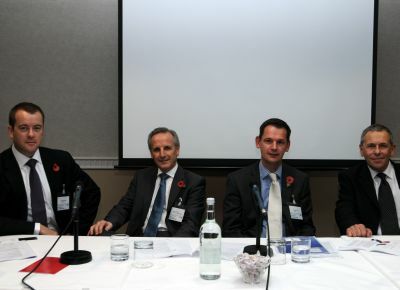 “Is there a future for Business Jets?” posed Edwin Brenninkmeyer, CEO of Oriens Advisors during the final panel of Quaynote Communications’ third annual Future of Business Jets conference held in London this November. Delegates were debating how to best educate the business travel market about the benefits of private jets. 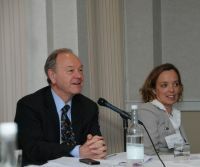 It would seem from the senior industry figures in attendance, including delegates from Amex, Wexas and Limelight Access, that the majority of travel planners still lack the information required to immediately think ‘private charter’ when asked to plan an itinerary that may take in Vienna, Paris and Amsterdam. This would typically be a 2-3 day trip. Yet, by chartering a business jet the client becomes his own route planner, makes the whole trip a single day and, can be back home for supper. “There are occasions when the business jet is the only option if you want to seal that deal and get there ahead of the competition,” said David Macdonald, Director Private Jets at Air Partner plc. Entrepreneurs, sports personalities and the news media are key clientele to charter small jets. And of course business users. Overall executive aviation traffic now accounts for 6.9% of IFR traffic and is set to increase to 8% by 2015, according to Eurocontrol. It has become a vital part of aerospace infrastructure, significantly increasing productivity for its corporate users. European Business Aviation (EBAA) statistics show that there has been an increase from 2,000 aircraft in 1990, when EBAA first formed, to 4,000 business jets in Europe today, supporting business. However, as this event heard, for many travel management companies, private jets are the preserve of the elite and without easy access via GDS systems to private jet charter options, this market is likely to remain untapped. Brenninkmeyer highlighted the cluster of partnerships between legacy carriers and small jet providers and questioned if there could be merit in incorporating private charter options in web portals such as Expedia? Gordon Mowatt from Wexas Travel Management suggested this would be difficult to implement because they are so intrinsically linked to the scheduled carriers. Brian Stoll, who arranges travel for celebrities, international football players and pop stars, said that his clients like to experience the service first. “When our clients buy a luxury car they go to a showroom, and take it for a drive and at that point they make a purchasing decision. Realistically or not, this may well be the way private jet companies may have to court this business.” However, business jet charter isn’t being exclusively used by those looking to raise productivity. Laborious airport routines, schedules constantly changing and the restrictive hub and spoke systems have increased those using charter for leisure. 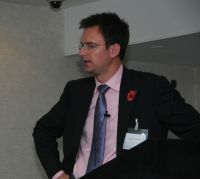 David Macdonald noted that at Air Partner private jet charters used for leisure had increased from 10% of their market in 2005, to 30% in 2010. Following on the National Business Aviation Association (NBAA) theme of “no plane, no gain” the conference also explored the productivity value that is associated with private jets. Fred Reid of fractional ownership business Flexjet presented statistics that showed companies using business jets outperform those who don’t use them with 22% higher growth. However, growth requires finance, and discussions about availability were rife. Aoife O’Sullivan, Partner at aviation law firm Gates and Partners presented a number of alternative sources for those seeking finance. “Finance is still out there,” she said, noting that Islamic finance, regional finance, and good old fashioned cash and refinance, as viable options. The presence of a number of financiers reiterated that banks have returned to explore aviation finance, although perhaps in reduced numbers. MacKinnon suggested other drivers maintaining the more established aviation sectors include a slowly rejuvenating economy, aircraft renewals, and increased accessibility to business aviation through programmes such as Flexjet. Reid, of Flexjet, confirmed that aviation business needs to stay agile and presented a number of innovative solutions from the Flexjet stable including a variety of ways to buy into the programme, exclusive membership promotions such as being offered the “ungoogleable”, and perhaps significantly a tie-in with Korean airlines providing their passengers with one point of call for commercial and private aviation options. This alliance between business aviation, and a commercial airline is not unique. There are a number of commercial airlines such as Qatar Airways and Lufthansa, developing their own private aviation offering, and others are forming partnerships such as British Airways’ partnership with CitationAir in the USA. Once again there were murmurings that this where the Future of Business Jets (in the short haul market) will lie.